The following is a guest post about how to get motivated to organize from regular contributor, Kristin at The Gold Project. Organizing is not something that comes natural to everyone. And, I have learned that the term means different things to different people. I have also learned that people can look very organized on the outside, but when you open a closet or drawer, it speaks something different. 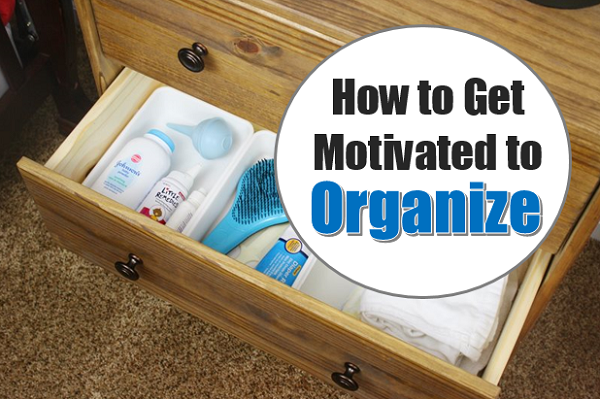 Whether you are an organized person or not, everyone can get unmotivated to organize because it is not something you can do once and you’re done. For instance, my daughter and I tackled our office closet over Christmas break. The entire space is now clean and organized, but it may not be that way in a month, six months, or a year. It is something that has to be looked at again in the future. And, I think that is where the issue lies with many people. Why am I going to put all of that effort into a project that isn’t permanent? Life changes and so does organization. What may work right now may not work in six months. So, how do you get motivated to organize when you just don’t see the point? I could sit here and spout off all of these things that could help you get motivated to organize, but this is the single most important one to me. If I have trouble getting motivated, I will start with something very small, like a drawer. Accomplishing that small task gives me energy and even motivation to move to another small task and it keeps building until I feel like I could tackle a closet or even a whole room. So, what tasks do I consider small? I thought I would give y’all some ideas that might trigger others. I would love for y’all to share some small organizing tasks with us. Let’s get the conversation going about organization and help each other get motivated to start. 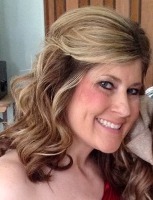 My name is Kristin and I am a middle school career education teacher by day and a mommy/wife/blogger by night. I am married to my high school sweetheart and we have two loving children. We recently made a life-changing move to Arkansas, so our new house is always under construction. I get excitement out of finding new creative, functional, and cute ways to organize things! I also enjoy writing and documenting life as it happens. So, I put these loves together and created The Gold Project. With the help of my husband, I am attempting to turn our house into a home. So, check out this special place of mine and take this journey with me! Get Org Junkie’s 100 Organizing Tasks to Tackle Checklist FREE by signing up to my email list below. Most of these tasks can be done in 15 minutes or less! Looking forward to getting your tips! I agree! Starting small is the best way to find motivation. If I only have a few minutes, I will set a goal to get through one pile on my desk. And I make myself stick to it – no getting distracted. In the end it is progress. Looking forward to a more organized 2018! Looking forward to receiving the list..thank you! Maybe this is the year I will finally get organized and be productive! Looking forward to your tips! When will I receive my list? I am looking forward to getting started. Hi Pamela, you should receive it within a half hour of signing up in an email from me. Be sure to check your junk mail. Let me if you don’t see it. I tried again and I haven’t received the list. Maybe it was because I was already following you?